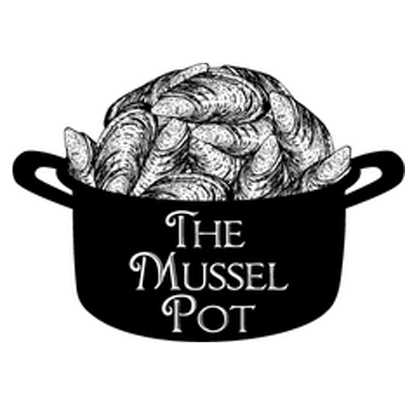 My wife and I heard about the Mussel Pot from a Groupon offer. From what we read about it, wefigured it would be pretty good. We were pleasantly suprised. The decor of the place gives the restaurant a higher-end feel but the staff didn’t seem stuck up. They were warm and friendly to us even when we showed up 20 mintues late for our reservation and the place was packed. We started with a couple cocktails, which were a little pricey but worth it. There is a list of fun cocktails but also a full bar. The wine list is reasonable with some really great choices between $35 and $45 a bottle. We started with some bluepoint oysters on the half shell and the lobster macaroni and cheese. The oysters seemed very fresh and the mac and cheese, although lacking a bit in lobster, was absolutely delicious. For dinner we chose two mussel entrees from an extensive list of sauces. The waiter recommended the Valenciana and the Lobster Dijon mussel pots. The size of the portion is more than worth the 24 dollar price tag on most of the pots (it would have been enough to share after the appetizers). The only negative points on the evening was the long wait we had for our entrees due to the a large party that backed up the kitchen, and the side dishes we got, sauteed spinach and broccoli were rather tasteless. Overall I would recommend this place to anyone looking for a solid seafood dinner that isn’t too pricey. One of the most awful dining experience I have ever had!! Definitely the worst in the West Village by far!! Lived in the neighborhood for the last 4 years, and I have never had a more unpleasant meal. First of all, we ordered blue point oysters as an appetizer, which came out on a warm dish and not on ice. The oysters themselves were room temperature! This is inexcusable.. For specializing in mussels this restaurant leaves a lot to be expected. The three different types of mussels we tried were overcooked and the sauces were bland at best. When the manager brought over a new plate of mussels it made no improvement on the previous dishes, still over cooked and uneatable. We paid, leaving our full meals on the table and walked out. We all felt a little sick the next day. 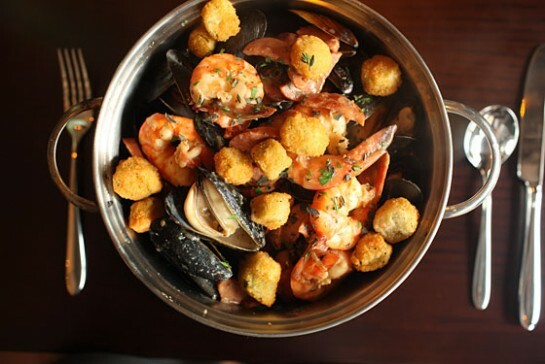 Been to Flex Mussels, also in the West Village, which is amazing! I would recommend this restaurant to anyone.. Been going there for years, and never had a bad meal! !